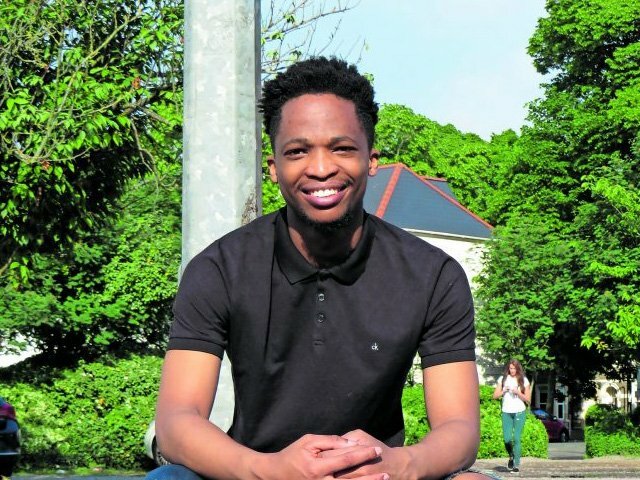 Metji Makgoba is an educator who seeks to contribute to South Africa’s transformation agenda by helping train the next generation of critical thinkers in intellectual and enterprise skills so they can use their agency to fight for justice in society. Currently on a scholarship to pursue a doctorate in corporate social investment in the mining industry at Cardiff University, Makgoba lectures communication and media studies at the University of Limpopo. Inspired by a passion for social justice, his research looks into corporate power, policy, rhetoric and the influence of language in the corporate sector on political agendas. “I strive to empower my students by teaching them how to notice the nuances of language-in-action as a tool for power used by people to bolster their arguments or those in power to persuade and manufacture consent,” says Makgoba. Born in a rural village in Limpopo, he was raised by his strict Xhosa mother who taught him the importance of reading newspapers and listening to current affairs programmes, despite her not having a formal education. As a result, he loves reading books and articles that broaden his knowledge and challenge his beliefs and ideological frameworks. Makgoba maintains his work is informed by the philosophy of ubuntu. “An attitude of diligence and compassion often encourages students to follow suit. I believe that my research, which is critical in nature, epitomises the spirit of ubuntu by critiquing the actions of the powerful with the aim of encouraging accountability. Critiquing people’s actions to promote justice and fairness is rooted in the idea of ubuntu.